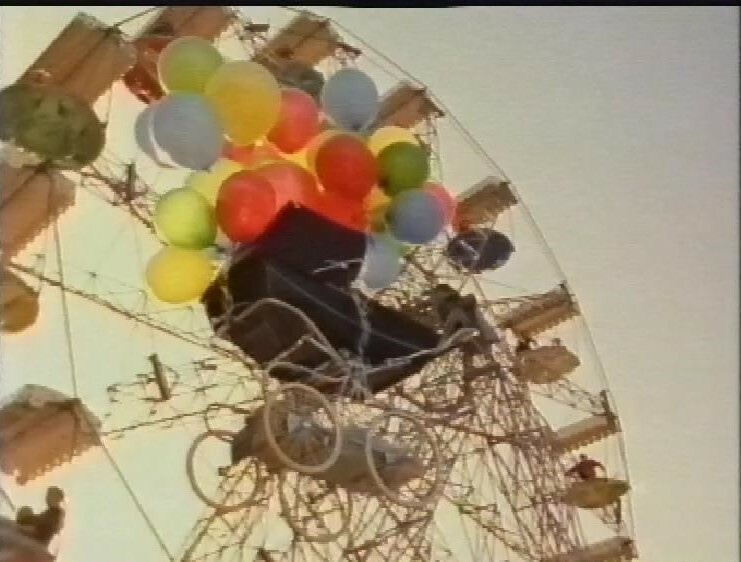 First on this tape, Mind The Baby, Mr Bean, in which Mr Bean kidnaps a baby and drives it around a funfair. Was this the inspiration for Up? After this, recording continues for a few minutes with the start of Heartbeat, a programme I don’t think I ever watched. Then recording switches to the end of an episode of Sister Wendy’s Grand Tour. There’s a trailer for Home Front. And one for Have I Got News For You. Then, The Hunt for Michael Jackson. It’s a look at the tabloid pursuit of the story about Michael Jackson, and his alleged child molestation. Everything about this story is grimy and horrible. The story itself, if it was true, is horrible. But the glee and pleasure of all the tabloid reporters and news programme reporters is in many ways just as unpleasant. Nothing about this story is in any way good. There’s a trailer for Seinfeld. And for The Net. Then, recording continues with the start of World Snooker. Recording switches, to the end of Oranges are Not the Only Fruit. There’s a trailer for The Riff Raff Element. And for Raiders of the Lost Ark. There’s an interview with Gabriel Byrne. Oliver Stone is interviewed about Natural Born Killers. There’s a location report on Princess Caraboo, in which Kevin Kline is very, very funny. I should also add, since someone commented on the video that Princess Caraboo was her last film (except one in 2001) I checked wikipedia to see if there was a reason why, and I discover that in 1989 she married none other than Kevin Kline, and she retired from acting in 1994 (i.e. just after this movie) to raise their family. Given the ephemerality of Hollywood marriages, how wonderful that they’re still together, especially two actors I really like. I’m an old romantic at heart, so I love long-lived celebrity couples. There’s also a report on the restoration of My Fair Lady. 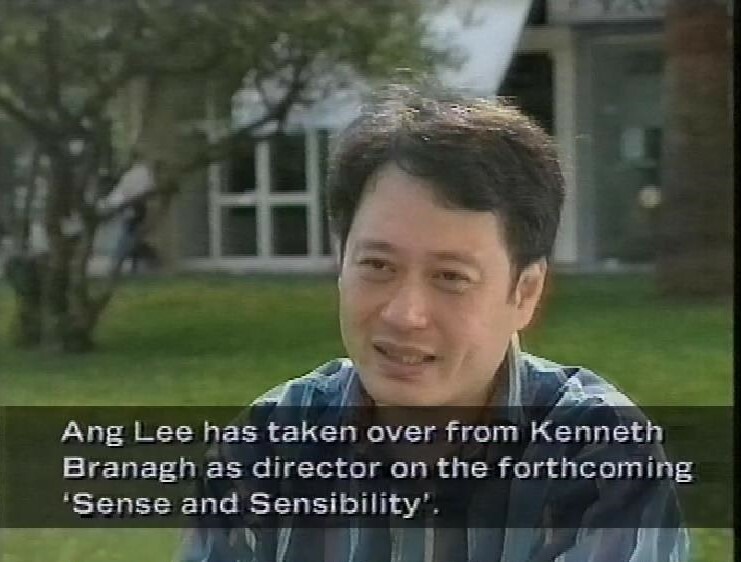 In the movie news, I learn that Ang Lee actually replaced Kenneth Branagh as director on Sense and Sensibility, one of my favourite films. There’s a report about the success of Working Title. And Barry talks to John Cleese about the as-yet untitled follow-up to A Fish Called Wanda. Cleese challenges Barry to name a sequel that’s better than the original, which is rather a poor argument when Barry reels of five or six examples. The tape ends after this episode. The transmission of that Mr Bean episode had been delayed for a good while because of the terrible James Bulger kidnapping.